FACIAL AESTHETICS AVAILABLE - ENQUIRE TODAY! The sensational range of beauty treatments we provide is truly extensive. Browse our informative price list to discover the luxurious options our Beauty therapists provide. At Reflexetions Beauty Salon, we take great pride in offering clients extraordinary value for money. Peruse our special offers to see how you could look better for less. Highly skilled and qualified, our friendly Beauty therapists harness the power of the finest beauty products available. Discover the astonishing difference they make today. Enjoy new heights of relaxation when you indulge in the magnificent beauty treatments our Beauty therapists provide. 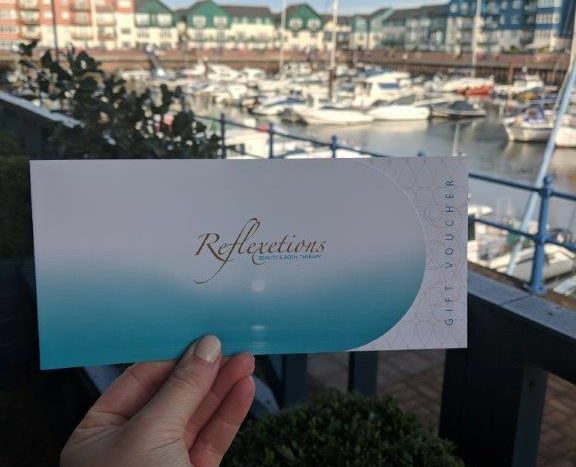 Based in Pierhead, Exmouth Marina, Reflexetions Beauty Salon is the first choice for incredible pampering experiences. Relax and enjoy the many treatments we offer within a serene, tranquil environment fit for any occasion. With such an extensive range of specialised treatments on offer, you’re sure to find an option that makes you feel incredible. 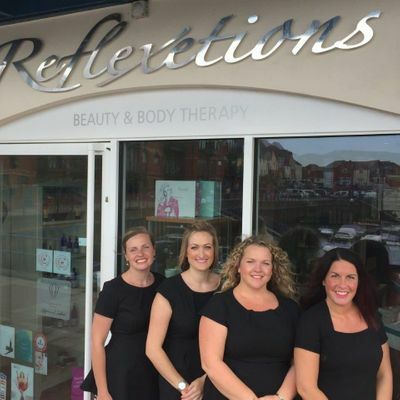 In business for more than 12 years, Reflexetions Beauty Salon is owned and operated by two local Exmouth beauty therapists who possess more than 20 years of experience in the profession. 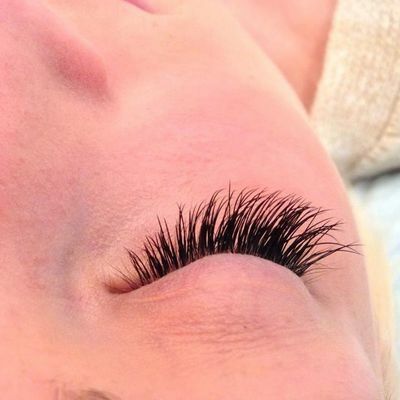 As a reputable, longstanding salon, we have garnered a vast and loyal client base. Proudly offering an expansive catalogue of treatments, we provide bridal packages including hen parties and pamper days. Taking place in- or out-of-salon, our opulent packages include makeup, nail, and tan treatments that ensure you look incredible on your special day. power of the greatest brands available. What’s more, we’re qualified to perform advanced beauty treatments such as electrolysis, skin tag removal, and red vein removal. Contact our Beauty therapists today, in Exmouth Marina, to learn more about the beauty treatments we have to offer. Monday, Tuesday, Wednesday, and Friday, 9:00 a.m. – 5:30 p.m.
Wednesday LATE NIGHT OPENING 9:00 a.m. – 8:00 p.m.